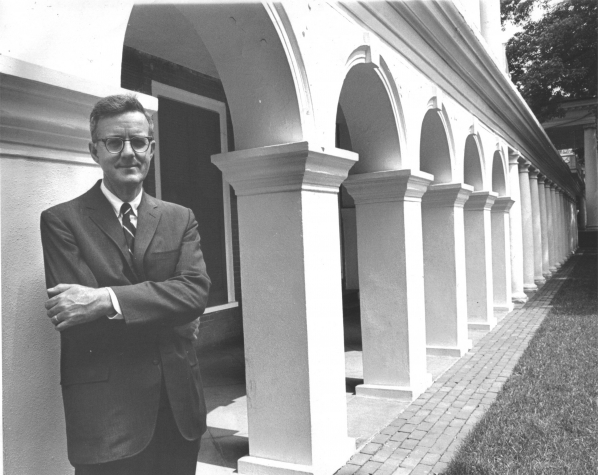 Dr. Ian Stevenson founded the Division of Perceptual Studies in 1967. The research group was named the Division of Personality Studies at its inception and was renamed the Division of Perceptual Studies in 2004. 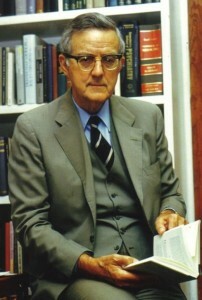 Dr. Stevenson passed away in February of 2007. His life spanned from October 31, 1918 to February 8, 2007. We invite you to read Dr. Stevenson’s obituary, written by our esteemed colleague, Emily Williams Kelly, Ph.D.
Dr. Stevenson established the Division in order to conduct research in which scientific methodology is utilized to empirically investigate phenomena which cannot be explained by the currently accepted scientific assumptions and theories about the nature of mind or consciousness, and its relationship to matter. Examples of such phenomena, sometimes called paranormal, include various types of extrasensory perception (such as telepathy), apparitions and deathbed visions, after-death communications or ADCs, poltergeists, experiences of persons who come close to death and survive (usually called near-death experiences or NDEs), out-of-body experiences (OBEs), and claimed memories of previous lives. Despite widespread popular interest in anomalous phenomena that appear to challenge normal explanations, there is a paucity of careful scientific research into their occurrences and processes. Our researchers are dedicated to the use of scientific methodology in their investigation of a wide range of unusual and anomalous phenomena. Below are some publications by Dr. Ian Stevenson regarding his thoughts on his involvement in the study of anomalous and paranormal phenomena. –The Flora Levy Lecture in the Humanities This is an important autobiographical lecture given by Dr. Ian Stevenson in 1989. –Half A Career with the Paranormal This is an essay by Dr. Ian Stevenson as it appeared in the Journal of Scientific Exploration, vol. 20 (1) Spring , 2006. In 2008, the Journal of Scientific Exploration, a journal co-founded by Dr. Stevenson, devoted an entire volume in remembrance of the significant research contributions made by Dr. Ian Stevenson over the course of his very productive and active lifetime. The essays contained within this memorial volume are written by Dr. Stevenson’s research colleagues and peers in the field. Descriptions of the contents of this issue are listed below the link.